If you frequent Hong Kong’s neighbourhood bars, then you know the scene. Tables packed with groups playing dice. Bottles of beer in buckets. An awful crooner singing into a karaoke mic. Some darts player hitting the bullseye. But if you don’t frequent our city’s more local offerings, perhaps it’s time you do. Many of these places are cheap and buzzing. 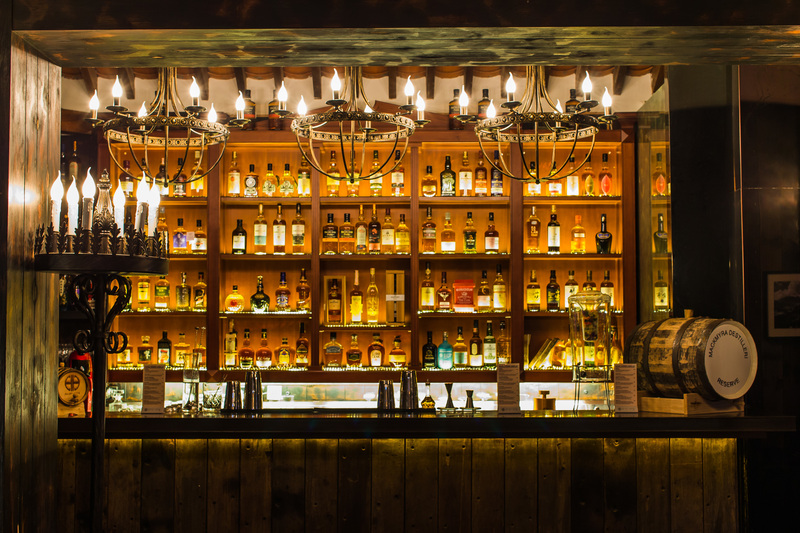 We’ve picked out six defining elements of a local bar and recommended a good spot for each for you to hit up. A local bar wouldn’t survive long without booze. And one of the best ways to indulge is to order a bucket of beer, which usually contains some ice and six bottles of Tsingtao or Blue Girl. But, of course, there’s also the green tea and whisky tradition and, sometimes, badly made cocktails. Bar Pacifics operate across the SAR. Try the buckets at the one in Tsuen Wan. 415 Castle Peak Rd, Tsuen Wan, 2414 8328; barpacific.com.hk. Local bars always come with some ace snacks, free peanuts and free crisps usaully the minimum on offer. Many bars make their own food which you can order on site and others will head out to a nearby eatery and pick up some grub for you on request. 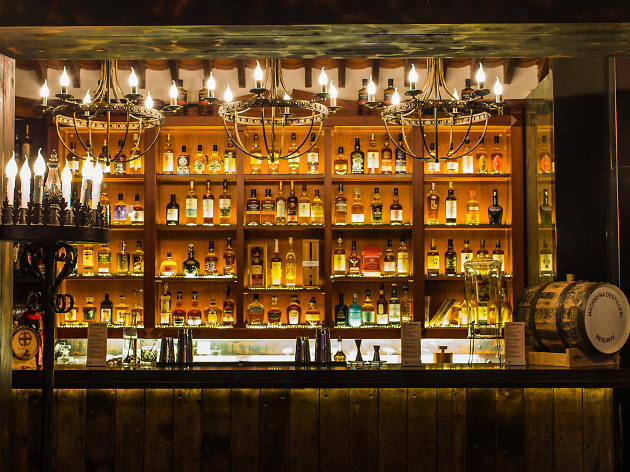 Head to Stone Bar and Lounge in Causeway Bay to try the snacks and pop just downstairs to Sodam Chicken for some excellent fried chook to soak up your whisky. 20/F, Bartlock Ctr, 3 Yiu Wa St, Causeway Bay, 2808 0530. You could go to Neway, sure. But isn’t it better to impose your croaky voice on an entire room of drinkers? 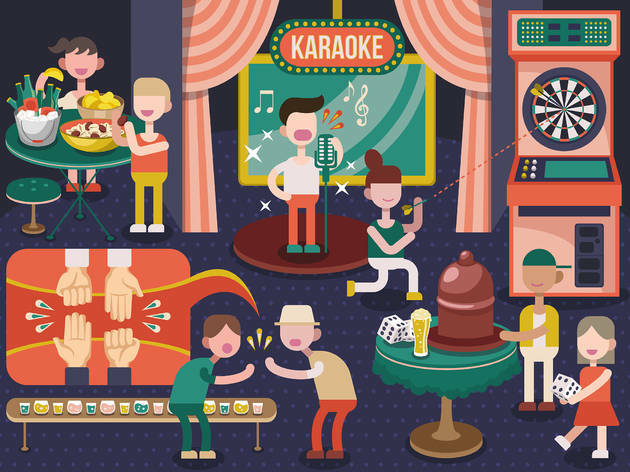 Plenty of local bars sport karaoke machines with an eclectic array of Cantopop tunes, Western pop songs and some old crap like Barry Manilow. 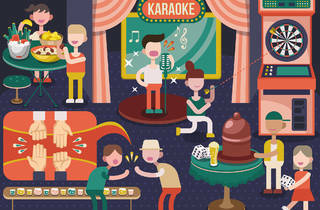 For a raucous sing-song, hit up Pub Village in TST. 21/F, The Lamma Tower, 12-12A Hau Fook St, Tsim Sha Tsui, 3568 3164; fb.com/pubvillage. Hong Kong loves its darts. Most of the local bars feature at least one board and it’s nearly always electric, meaning you don’t have to be a maths genius to work out your scores. Word of warning, though: our city is also chock full of really good players, so don’t get hustled. 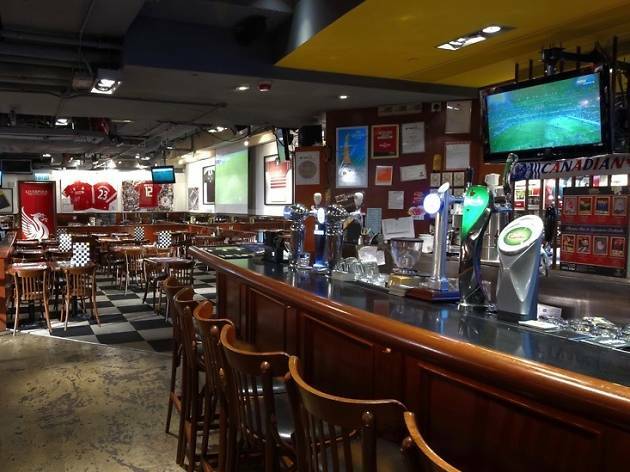 M8 Cafe & Pub in Hung Hom is a top place as it sports 11 boards. Two of them are the traditional bristle varieties. 1/F, Carlton Crt, 80 Ma Tau Wai Rd, Hung Hom, 6799 5315; fb.com/m8cafebar. Okay, for the uninitiated, 15/20 is a game that was designed for two people but is now more popular with drinking groups under the name of wai mui. All it needs is just a few hands and a beer or 10. Grab a team, hole up in a corner and stick your mitts out. Players alternate, guessing the number of total fingers on all the hands. Keep your fist closed for zero or open the palm for five. Add the totals. Whoever is right wins. Whoever isn’t, drinks. The key is to second guess the others and stitch them up. 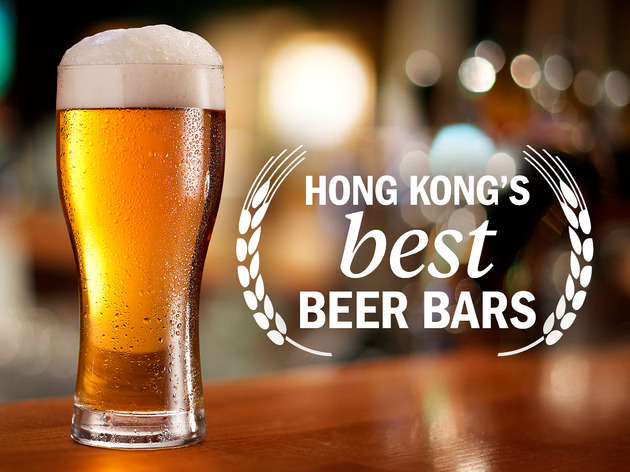 Mong Kok’s Lab Bar is spacious, so perfect for wai mui fans. 23/F, Chong Kin Commercial Bldg, 594-596 Nathan Rd, Mong Kok, 9162 8682; fb.com/labbar2013. Hong Kong loves its dice. A few white cubes and a black tumbler are all it takes to have hours of boozy fun. One of our fave games is ‘liar’s dice’. Each player has a tumbler with five cubes. They roll them and conceal them before everyone takes turns saying how many dice they have of a certain number. They then go up in the number or amount of dice, until someone challenges another player, accusing them of bluffing. 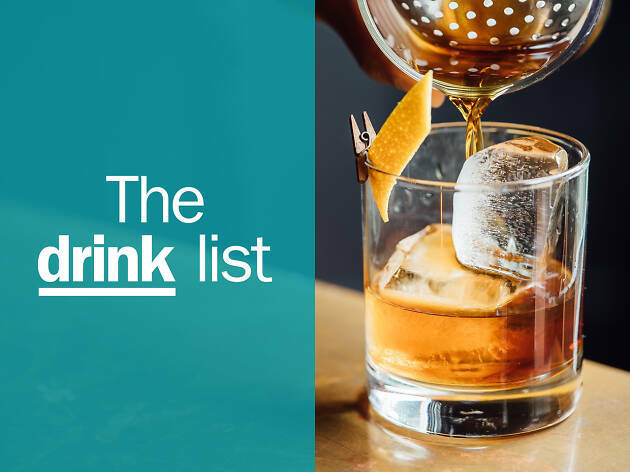 If they are, they drink. If they’re not, the accuser drinks. Repeat. Oh, and ones are wild. M1 Bar in Hart Avenue, TST, is a popular and lively local venue to play in. 5-9 Hart Ave, Tsim Sha Tsui, 2311 7212.